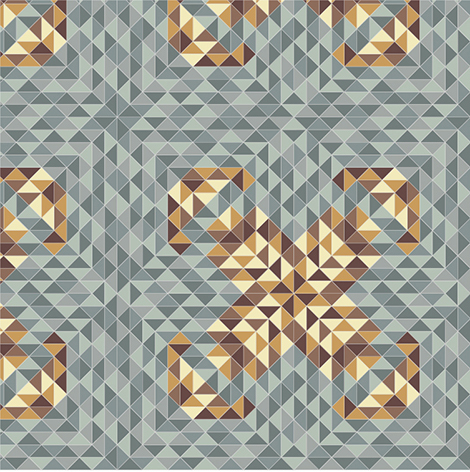 Opening tonight, Chelsea BA Interior Spatial Design students will be exhibiting their contemporary floor designs using Victorian-style geometric tiles. 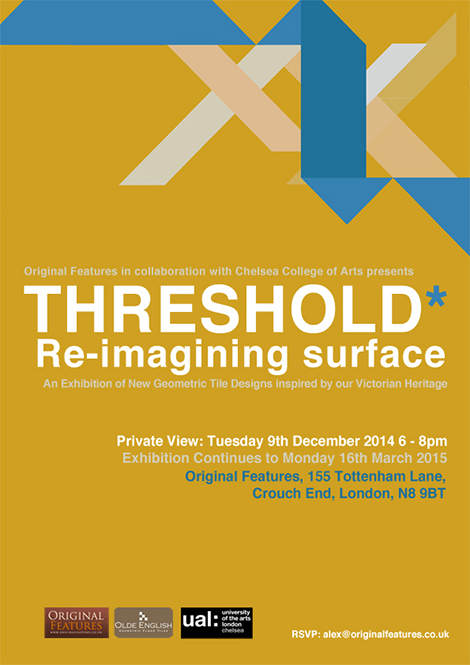 The exhibition, THRESHOLD*, opens at the Original Features shop in Crouch End, and is the result of a challenge by the company for students to re-imagine the work of their nineteenth century forebears andcreate a fresh, exciting tile design using their range of traditional tiles. Design by Sy-An Chen entitled Extension. This design uses the basic shape of a triangle to assemble a large textured form that uses colour and shape to create a feeling of extending and reaching outwards. The result was a collection of 26 new designs inspired by the complex and colourful tiled floors and pathways of nineteenth century Britain.Judges and the public have voted for their favorite design and the two winners will be made up by one of Original Features’s professional tilers. All of the designs will be on display in the Original Features Gallery as part of the exhibition and will be on show until the new year. Some of the students designs are shown here, but you can read all about it and see each of the students’ designs on the Original Features website.